The Republican Party is split on whether to support or oppose President Donald Trump’s proposed taxes on imported steel and aluminium. 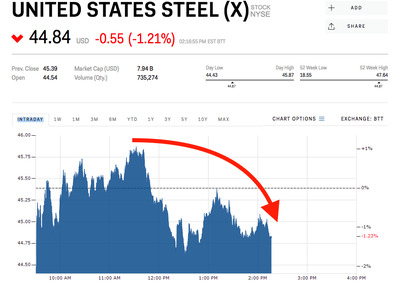 Shares of two of the largest largest American steel manufacturers slid in Monday trade, despite President Donald Trump saying “we’re not backing down” in regards to new tariffs on imported metals. 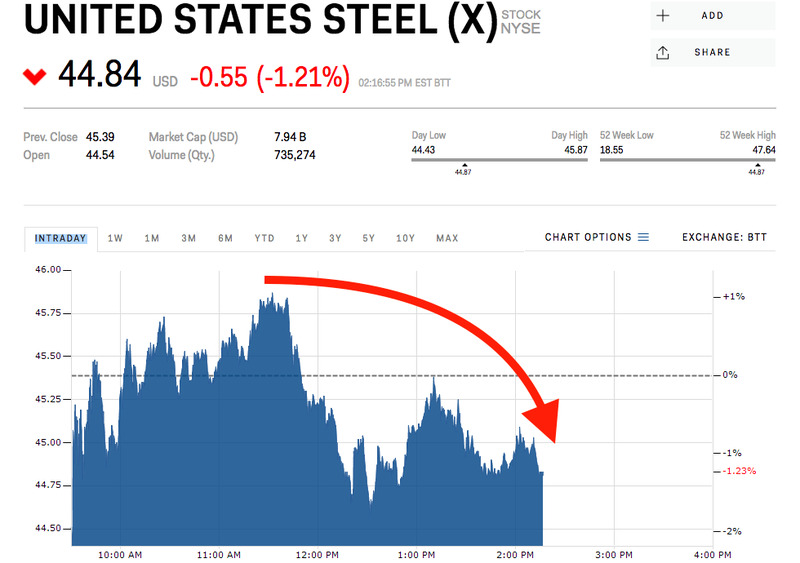 US Steel was down 1.52% and Steel Dynamics was down 1.86% Monday afternoon. Together the manufacturing giants are worth a total of more than $US19 billion in market value. US Steel has now gained 4.8% since news of the tariffs first crossed news wires. One analyst told Business Insider that the new taxes could make the company’s operating income “laughably high,” but that many details are still in the air. Shares of the company are up 19.8% in the past year.